Who says there’s nothing to do for youth on the coast? Here’s three novel ways our teens can be involved in our community and learn new skills! A free Science Club on the Cooloola Coast will be trialed on our coast between now and Christmas, thanks to Cooloola Coastcare and Inspiring Australia. The Club’s first project will be led by local underwater cameraman and marine biologist, Josh Jensen. Featured in National Geographic, Discovery Channel and BBC productions, Josh will run a series of weekend, holiday or after school workshops on filmmaking to help young people create their own environmentally-themed short films. Cooloola Coast families with children in the 10 – 16-year age group, send an email now if your kids would like to be involved. Email Coordinator@cooloolacoastcare.org.au to find out more! YAP are now taking registrations of interest for Air Rifle and Archery days to be held in November. For the air rifle the child must be over 11-years- old and have parent/guardian permission. All equipment is supplied, full safety instructions given and supervised by experienced members of the Tin Can Bay SSAA. 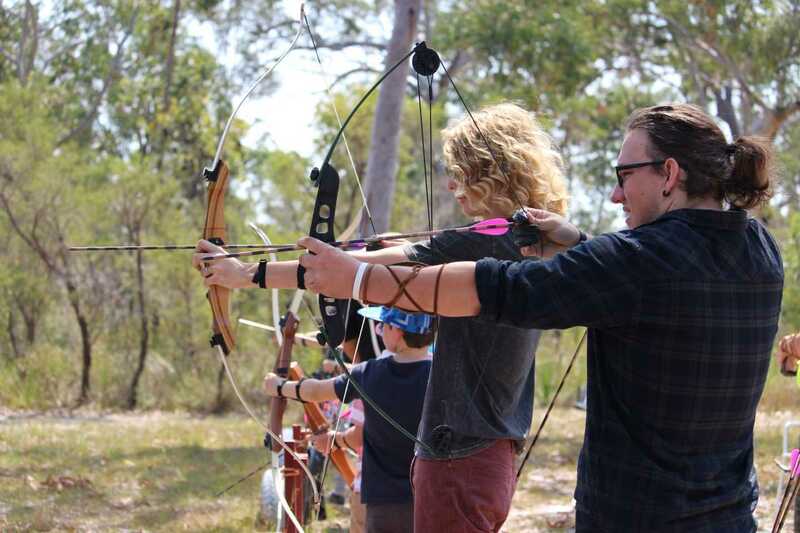 Archery is open to all ages with all equipment and training is supplied. Limited places – so email cooloolacoastyap@gmail.com or call Jess on 0411 218 254. Young people from across Queensland who are interested in representing their peers and shaping Queensland’s future can apply now to be a member of the new Queensland Youth Engagement Panel (QYEP). Applications are open to 16 to 25-year-olds keen to influence government and policy development, until October 15.